Prostate cancer is the number one cancer affecting American men and it’s the third leading cause of cancer deaths for men (behind lung and colorectal cancers). An estimated 161,360 new prostate cancer cases will be diagnosed in the U.S. in 2017, with more than 26,730 deaths expected to result from the diagnosis. 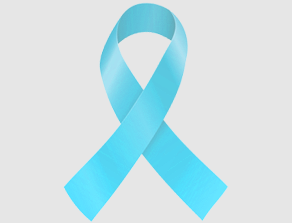 About 1 in 7 men will be diagnosed with prostate cancer during their lifetime. The average age at the time of diagnosis is 66, with about 60% of cases occurring in men aged 65 or older. Although men under the age of 40 can be diagnosed with prostate cancer, it is considered rare. There are more than 2.9 million men in the U.S. who have been diagnosed with prostate cancer and are still alive today. In addition to specific projects listed below, genomics research is helping us attack prostate cancer – and all types of cancer. NFCR has distinguished itself from other organizations by emphasizing long-term, transformative research and working to move people toward cancer genomics. Dr. Paul Fisher and his team have created a new therapeutic approach to cancer therapy, which he calls a Cancer Terminator Virus. As a genetically reprogrammed virus, CTV infects and destroys tumor cells while leaving normal cells alone. The Fisher team also engineered a CTV capable of producing a tumor-killing molecule – interferon gamma (IFNγ). As a natural product of our immune system, IFNγ can kill tumor cells both directly and indirectly by eliciting immune responses. This happens at the primary tumor and metastatic sites. CTV could be a potential treatment for early stage and metastatic prostate cancer, and recently, studies have been expanded to test its pancreatic cancer treatment potential. Dr. James Basilion and his team at the NFCR Center for Molecular Imaging are developing new tools that can literally change the way doctors are looking at cancer. One newly-designed molecular probe allows researchers to view multiple molecular biomarkers simultaneously and see a tumor’s genetic structure in real time. This visualization allows for the very early detection of tiny tumors that will greatly improve treatment outcomes for patients with prostate cancer and other types of cancer. Center researchers are now adapting their enhanced sensitivity imaging probe for the early detection of liver cancer. The prostate-specific membrane antigen (PMSA) is found in the vasculature of liver tumors and Dr. Basilion is the first to conduct PMSA-based imaging of liver cancer.